My husband and I have always loved traveling and adventures. Though our opportunities to travel became somewhat limited, first by graduate school and then by work obligations, we still made it a priority. We found it wasn’t only something that satisfied our personal desire to see new places and explore unknown terrain, but it also nourished and rejuvenated our relationship. This, however, was before we had our (now 18-month-old) son. Our love of travel and adventure did not dissipate in the slightest, yet having our son put that passion on the back burner. He became our focus and our priority, a shared endeavor that absorbed most of our time and energy. That was until an opportunity got thrown my way that was just too hard to pass up. A close friend of mine offered us a free villa in Capri for a week, which would end up going unused unless my husband and I decided to jump on it. Before I even knew what was happening, I emailed her back saying we were in and I would figure everything else out later. Then it hit me; what had I done? We had a young son whom I had never been away from for more than 24 hours, and even that had only happened once for my best friend’s bachelorette party. Though I had breastfed him until he was 14 months and he was now fully weaned, the thought of being away from him for any extended amount of time terrified me. Yet to my subsequent dismay, I had said yes, which meant that my husband and I would be going to Europe in a few months — childless! The funny thing about this predicament is that as a therapist who works with moms, I am constantly encouraging them to prioritize themselves and their relationship. Time after time I find myself repeating the mantra: “Your family deserves the best version of you; the only way that is possible is by making yourself a priority.” Yet, here I was questioning and doubting my decision to do just that. I felt weighed down by the surge of guilt and self-judgment that came with making a decision to put my need for a break, time with my husband, and an opportunity to satisfy a passion of mine, above that of being present 24/7 for my son. It was in that moment that I recognized how hard it was to do what I had always so easily advised my clients to do. I hoped that by going on this trip I could return to my work as a therapist with much greater understanding and awareness, and most importantly, alignment between how I was living my own life and how I was encouraging them to live theirs. Even though we were fully committed to going, the mom guilt sprang up full force a few days before leaving. Despite going overboard on the preparations for my parents-in-law–from notes on each drawer letting them know where to find everything to pre-made organic toddler meals for breakfast, lunch, and dinner–that critical voice inside my head kept berating me for “abandoning” my son. With 24 hours to go before we boarded our plane to Europe, I finally confronted the voice inside my head that was labeling me as a “bad mom”. It started with recognizing that my son was a well-adjusted, securely attached, and happy little boy. All of my efforts in the first 18 months of his life, from being responsive to every need to providing consistent emotional attunement, were aimed at establishing a sense of security in my child. This sense of security was exactly what would ensure that though he may miss my presence, he would adapt easily to my absence due to the deep rooted trust that I would return. It also finally dawned on me that this would be an incredibly special opportunity for my son to get one-on-one bonding time with his Grandpa and Grandma from the East Coast who would be flying in to take care of him while we were away. How else would they get to have this special time together? Without me there, they would be able to connect with him in a way that isn’t possible when I am around, since “Mom” always seems to be the default person he goes to even if there are 10 other loving people in the room vying for his attention. Though my personal assertion may seem sufficient, research has actually been done on the unique bond between grandparents and their grandchildren. 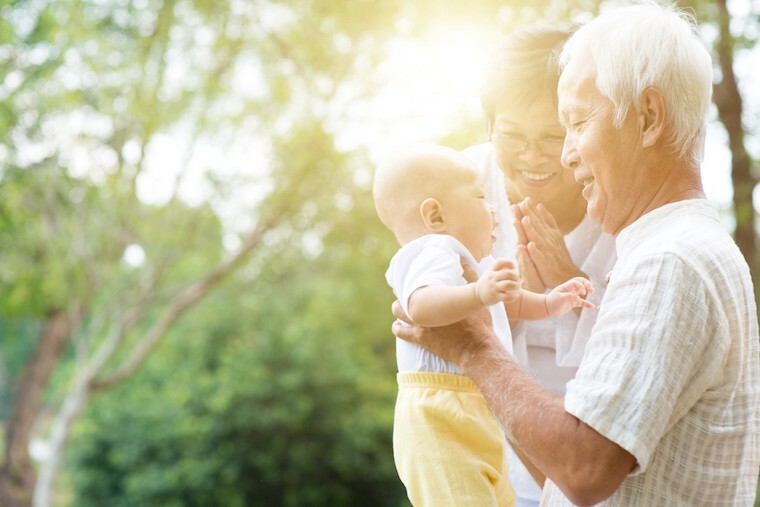 In an article titled The Ties that Bind: Grandparents and their Grandchildren, researchers highlight the critical role that grandparents play in helping and supporting their families by caring for their grandchildren. In Western society, where it is far less common for grandparents to be living with or even nearby the nuclear family, less attention is given to the importance of this bond. It therefore becomes our responsibility to create opportunities for grandparents to take an active role in our children’s lives and development. By going on a trip with my husband and allowing our parents to step in and be temporary caretakers for our son provided just that: space and time for our son to bond with his grandparents in a way that hadn’t yet happened since he was born. It is important for me to point out that it does not have to be grandparents who fill this role. Family members, relatives, friends, or nannies may act as caregivers when you are away. The important thing is that whoever that person is will have the opportunity to develop a deeper relationship with your children. In the end, my husband and I ended up having a truly once-in-a-lifetime trip that was restorative on so many levels. Though I can’t deny that Logan was a topic of our conversation nearly everyday and I was acutely aware of how many days were left until our return home, I was able to trust that he was happy, safe, and being showered with so much love and affection that he probably wouldn’t even notice we were gone. For all moms who struggle with the decision to go on a trip without their young children, summon your strong heart. Your feelings are the normal and natural result of a good, strong bond. Push past those initial feelings of guilt and self-doubt. By leaving your child in the loving and competent hands of someone who you value in your life, you are making room for the development of an enriching relationship for your child. https://www.earthtrekkers.com/tips-traveling-without-your-kids — This uplifting and reassuring blog provides some excellent recommendations for how to stay connected with your children while you are traveling. https://kidshealth.org/en/parents/travel-without-kids.html — This blog post delineates all of the preparations you will want to do for the caregiver taking over while you are away. It’s a life saver! 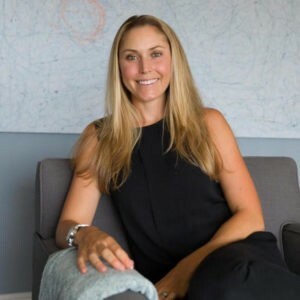 The Happiest Mommy You Know: Why Putting Your Kids First Is the Last Thing You Should Do — Genevieve Shaw Brown’s book is a great read for all moms because it provides a positive approach for facing the challenges of modern motherhood and gives moms permission to treat themselves better! Dr. Kelly Mothner is a licensed clinical psychologist who specializes in working with adults and couples. In her couples work, she utilizes a differentiation-based approach to therapy that emphasizes the personal growth of each partner to achieve a stronger and more resilient intimate relationship. The primary focus of this type of work includes building a solid sense of self, learning how to self-soothe, managing one’s anxiety, and tolerating pain for growth. Dr. Mothner’s private practice is located in Hermosa Beach, California. She can be reached through her website drkellyhb.com, email: drkellymothner@gmail.com, or by phone 310–892–2572. Originally published at blog.mothersquad.com on November 7, 2018.